For such a small place Phi Phi Island is buzzing with fun. Tonsai village with over 20 bars / clubs, and 30 restaurant this is the best place if you like to have variety every evening. It is certainly different to what many expect as even though Phi phi Don Island is dominated by nature, the night life is wild. Phi Phi Island has a wonderful mix of Best Nightlife to entertain those who still have the energy after a day of diving or lazing on the beach. 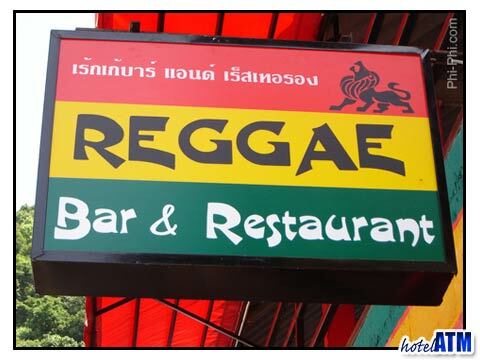 The Reggae Bar is Phi Phi Islands' biggest evening night open air scene with 5 bars and pool tables. Thai Boxing Nights is on every night but with a major league twist. The number of bouts with Thais are kept to a minimum as the audience is asked to put on the gloves and have a go for themselves! This mean you are able to see a series of fights between total armatures which is a very entertaining spectacle. The winners take a bucket of whiskey for their trouble! Mixed music, live premier league football a great bar menu for pizzas and snacks, the Reggae Bar has true entertainment. Most people end up their one night if they are staying in Phi Phi Don Village. Tiger BarThis is one of Phi Phi 's top places to hang and meet people. A little dark and earthy, a place where the latest tunes move the crowds ready for dance time... cool. One of the more established Phi Phi Bars. Apache Bar Very popular with the local Thai population and a great view of Tonsai Bay. Carlitos. Great bar with views right down on the beach for early evening with a lot of people from Sweden. Dojo Bar. The place to hang out early in the evening close to the other bars with this cool and funky retro Bruce Lee 70's look. Stylish. 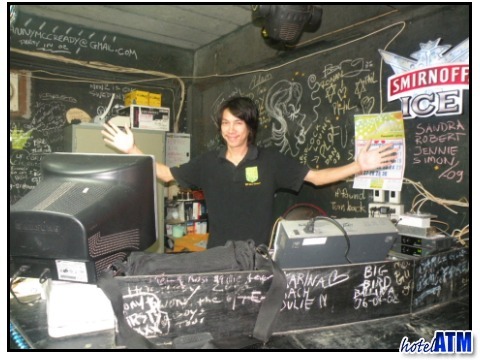 The Slinky Beach Bar is the new and latest dance bar right on Loh Dalum beach. This bar kicks off with an amazing fire show, Koh Phangan n Style and carries on till late. A bit out of left field but certainly worth a look at is the Phi Phi Party Crew, a group of bars and tour companies that get together to organize an all drinking, all dancing and all fun out on the beaches and reefs around Phi Phi Ley.